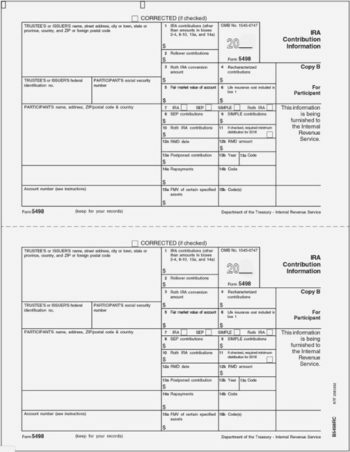 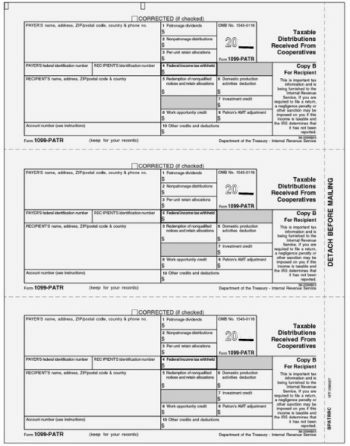 Use the 1096 form to summarize 1099 information for the IRS. 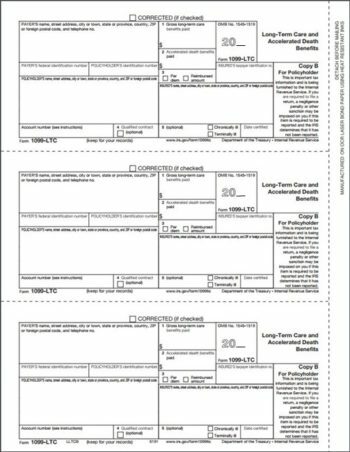 Summarize the information contained in all 1099 forms for a single payer, and print that on the 1096 Summary and Transmittal form. 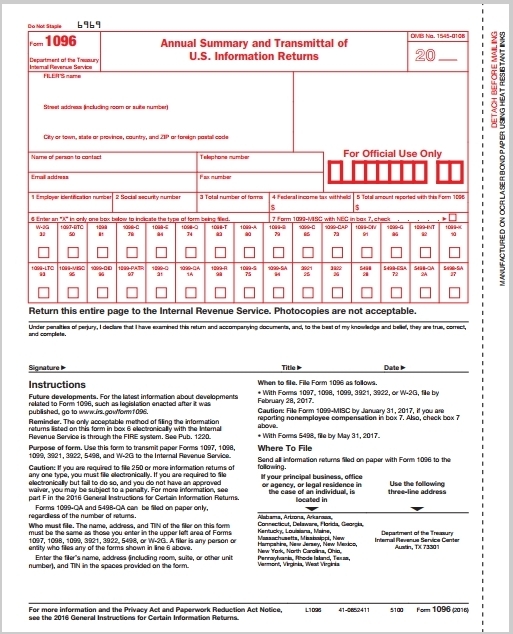 You must include one 1096 form for each payer, for each type of 1099, when mailing Copy A Forms to the IRS. 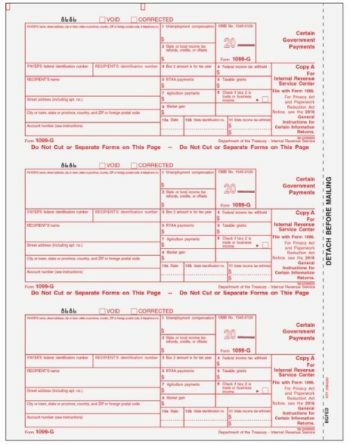 3 Free 1096 Forms are included with every 1099 order!! Only order additional if you need more than 3 forms.